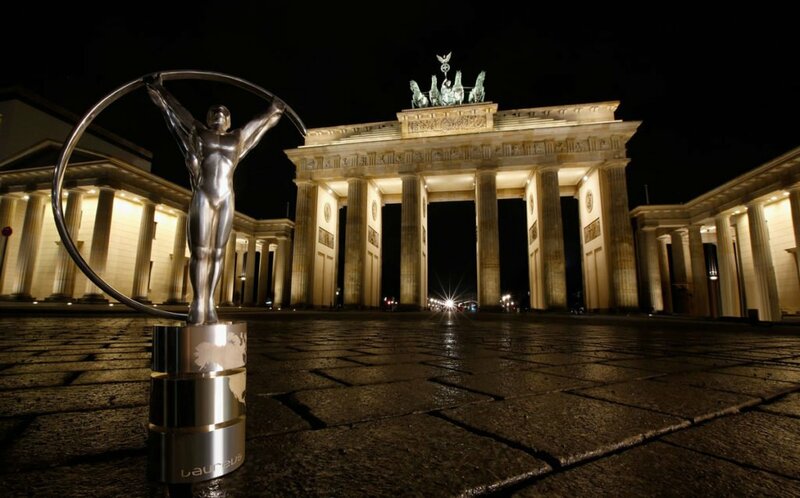 The Laureus World Sports Awards, which celebrate the outstanding achievements of sportsmen and sportswomen around the world, will return to Europe in 2016. The Awards will be hosted in Germany for the first time, held in Berlin on April 18, 2016. In front of a global television and online audience, the Awards will be attended by the biggest names in sport, both past and present. The event returns to Europe for the first time since London in 2012, after taking place in leading sports cities around the world in recent years, including Rio de Janeiro and Shanghai. Consisting of seven categories, the Awards will celebrate the achievements of the outstanding athletes from 2015, crowning the Sportsman, Sportswoman, Action, Disability athlete and Team of the Year. The Awards will also recognise the greatest sporting Breakthrough of 2015, as well as choosing the most impressive Comeback. Among the sporting greats who have been named as winners of Laureus Awards since 2000 are Usain Bolt, Novak Djokovic, Michael Schumacher, Roger Federer, Serena Williams, Alex Ferguson, Lewis Hamilton, Rafael Nadal, Pelé, Steve Redgrave, Ronaldo, Kelly Slater, Shaun White, Yelena Isenbayeva and Zinedine Zidane. Following on from the Nominations voting, by a panel of 2,000 of the world’s leading sports media, the winners of the 2016 Laureus World Sports Awards will be selected in a secret ballot of the ultimate sports jury – the 55 members of the Laureus World Sports Academy, all living legends of sport. Laureus Award winners receive a Laureus statuette exclusively produced by Cartier. While celebrating the success of the greatest athletes in the world, the Awards have significant impact at grassroots level, by supporting the work of the Laureus Sport for Good Foundation. Since its inception, The Foundation has supported more than 150 sports-based community projects around the world that have helped to improve the lives of millions of young people. In Germany, the Laureus Sport for Good Foundation supports 16 sports-related community projects which work to educate young people and bring communities together. Tackling social challenges such as integration, discrimination and juvenile crime, Laureus has helped over 50,000 young people in Germany and Austria since 2001. At the inaugural Laureus World Sports Awards in 2000, Nelson Mandela, who later became the Patron of Laureus, said: “Sport has the power to change the world. It has the power to inspire. It has the power to unite people in a way that little else does. Sport can awaken hope where there was previously only despair.” This has become the philosophy of Laureus and the driving force behind its work combatting some of the world’s toughest social challenges facing young people today. In South Africa today 18th July 2016 – we remember Nelson Mandela who has changed our country forever. Today these words and the impact they have made on so many lives are worth remembering. ” Sport has the Power to change the world. It has the power to inspire. It has the power to unite people in a way that little else does. Sport can awaken hope where there was previously only despair .” – Thank you to the Laureus Foundation. It would be good if the Awards Ceremony could be televised in this country.